Come and visit Marakele Predator Centre to see our large animals being fed on Sunday at 12pm, we have plenty to see even if it’s not a feeding day at the centre, the camps are large bush camps but you will still see the King of the Jungle! On our predator list we have cheetah, tigers, jackal, serval, and lynx. Our smaller animals consist of the following, coati bears, racoons, meercat, mongoose, five different species of monkeys. 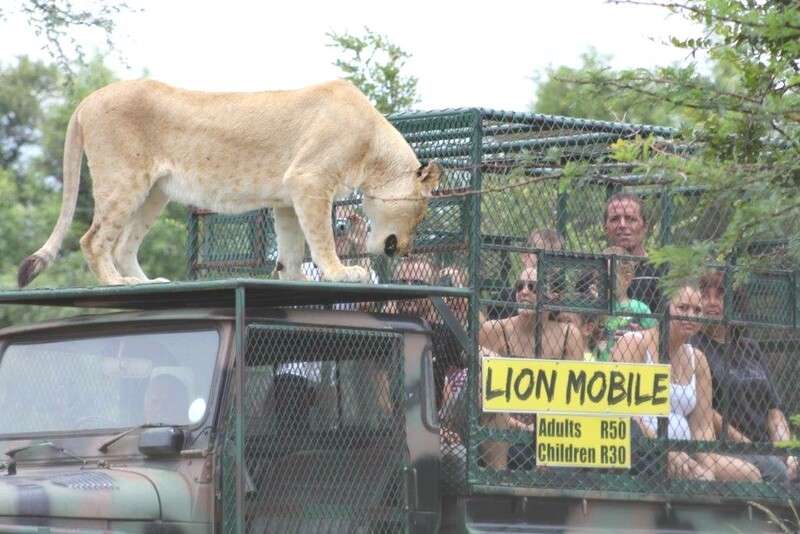 Take a ride in the lion mobile for a totally ‘up close’ experience, R50 adult and R30 child. This is the closest to lions that you will get as they cannot guarantee any cubs to touch. Entrance fees are R100 adult R40 child under 3‘s are free, you are welcome to bring your cool boxes and enjoy the space that we have whilst you have a braai at our facilities, please bring you own wood and meat.